These incredible Mercedes concept cars wowed crowds around the world and had a major influence on certain production models. 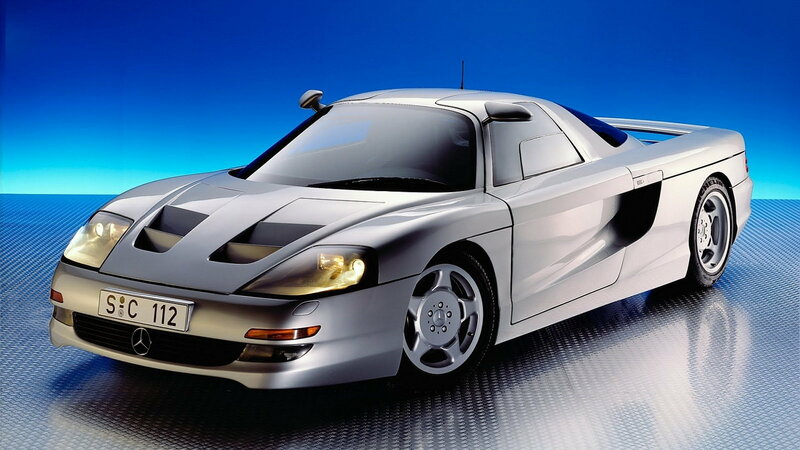 The C 111 wasn't just one concept car - it was several, all of which served as functional test beds for Mercedes. 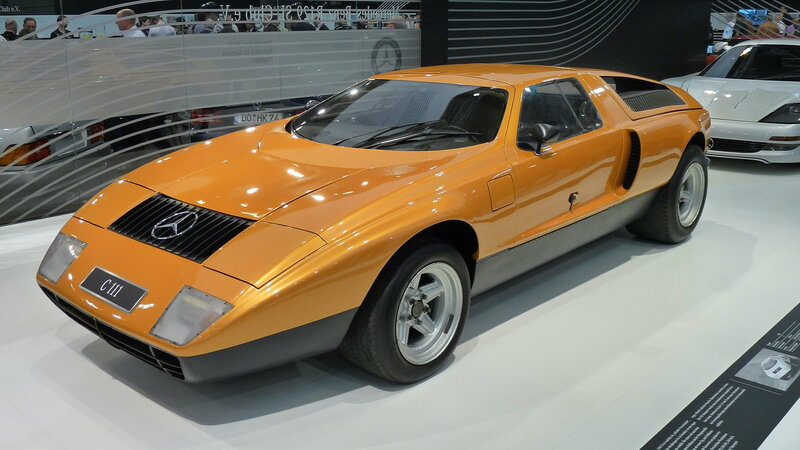 The first C 111 debuted in 1969 at the Frankfurt auto show, using a mid mounted 280 hp Wankel rotary engine for power. The flying wedge-shaped, gull wing door equipped concept was followed by an updated, 350 hp version in 1970. With gas prices soaring, Mercedes ditched the rotary idea and instead went with a pair of diesel engines in the next two variations. The final all-new version of the C 111 debuted in 1978 with a 500 hp V8 and proceeded to set an average lap speed record at the Nardo Ring by recording 250.958 mph. 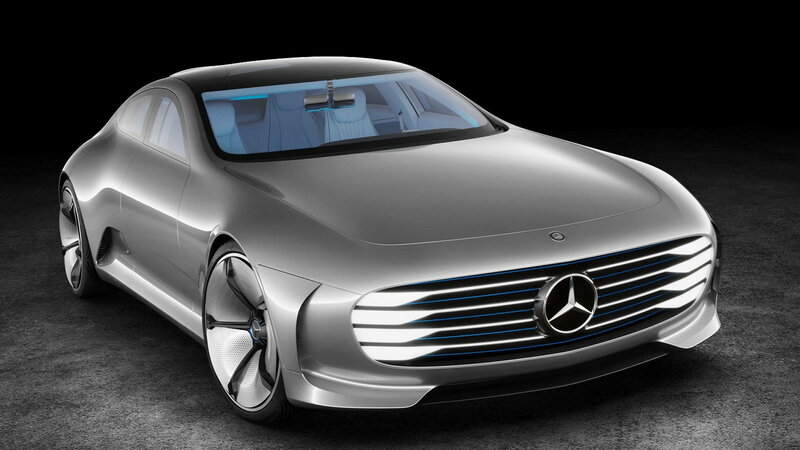 >>Join the conversation about the Coolest Mercedes Concept Vehicles right here in the forum. Somewhat of a spiritual successor to the C 111, the C 112 was actually more a product of Mercedes' success in Group C racing. But like the C 111, it served as a test bed for production car technology, including active dynamic handling systems. The C 112 was powered by a 408 hp 6.0-liter V12 and had a six-speed manual transmission. It featured a number of technologies that were quite advanced in the early 90's, including an Active Body Control System and rear wheel steering. Unlike the C 111, Mercedes originally intended to produce the C 112 and even took 700 orders for the car. But ultimately (and unfortunately), they decided not to build it. 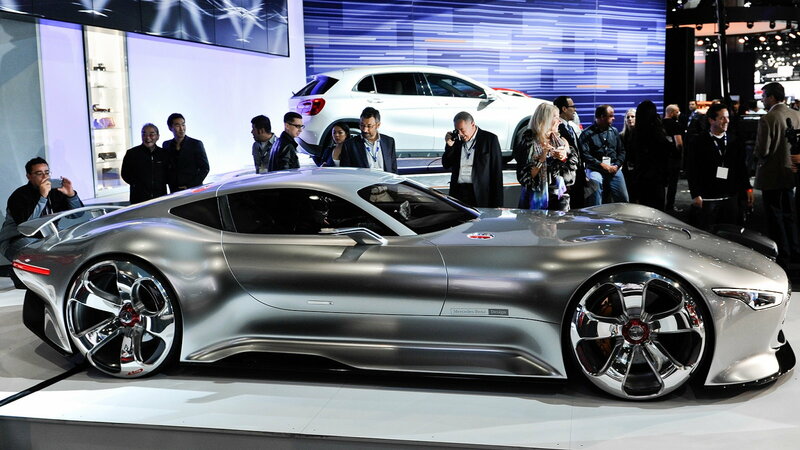 The AMG Vision Gran Turismo is essentially nothing more than a styling exercise. But oh, what a styling exercise. The gorgeous car was built as a full-scale model to appear in the Gran Turismo 6 video game, but it pays homage to something much older - the Mercedes-Benz Silver Arrow race cars of the 1930's. Loaded with subtle and not-so-subtle details, the Vision Gran Turismo was designed as rules and regulations be damned vehicle. Which means if you ever want to own or drive one, you'll have to buy the video game. If the Concept IAA's futuristic looks aren't enough to convince you that it's something out of a sci-fi movie, then the technology it uses certainly will. After all, IAA stands for "Intelligent Aerodynamic Automobile," and that's exactly what the future styling exercise uses to achieve a super low drag coefficient of 0.19. The IAA uses a number of active aero elements to keep it as slippery as possible, including eight rear telescoping sections that extend the car's length up to 15 inches. In addition, movable flaps, louvers, and even wheel bits keep it slicing through the air in all conditions. The legendary Maybach nameplate sat dormant for nearly 70 years before it was reborn as an ultra-luxury brand. But the super expensive, incredibly luxurious cars were eventually sent back to the grave after a short production stint in the 2000s. 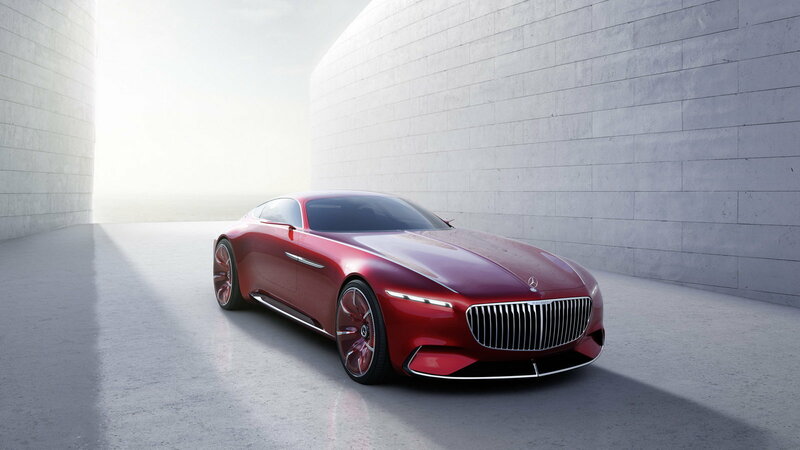 But then M-B decided to tease us with the incredible Vision Mercedes-Maybach 6 concept at the 2016 Pebble Beach Concours d’Elegance, and we don't know what to think anymore. The stunning and incredibly long (nearly six meters) aero coupe does, interestingly enough, use nothing but electric motors for power. But those motors add up to produce 738 horsepower, so we're OK with that.